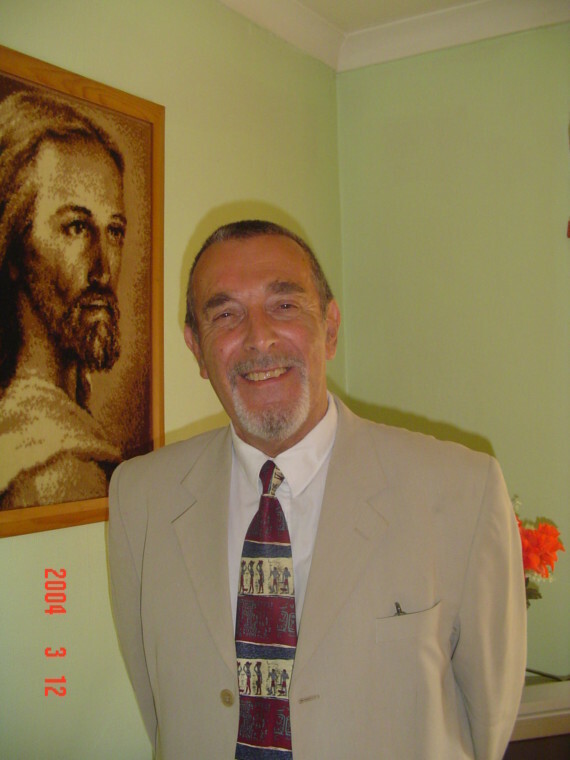 My name is Boguslaw Andrew Ziarko - I am an Exorcist Faith Healer and have been for 23years. I was born on the 15 May in England in a small village in Ludford Magna UK; where my family had set up residence and lived there on an old RAF camp, which had been built for Polish immigrants from World War II. I have four Brothers and eight Sisters, of which three are half sisters. On December 24th 1997 my life changed, something remarkable happened that took an entirely new meaning in my life. A Diamond from the Heavens above had descended on me; this was an experience of sudden, striking and enlightening realisation; giving me insight through divine supernatural power. In Christianity, the Epiphany refers to the realisation that Christ is the Son of God. The time has come for me to go to the people of the World and do Faith Healing and Deliverance work. Many years ago I had to ask myself who I am in Jesus, well I can say that as a Man of God today, I must work and live my life with my Saviour and above all, take him to the people of the World. The big question is, am I a Faith Healer or an Exorcist? To answer this question correctly - I have been privileged to have had two spiritual visitations from Christ himself. One evening I had spoken to the spirits of Christ and had confirmation that you are an Exorcist first and only then, the healing will take place. That has been confirmed and that is what I do; Exorcise and heal together with the Holy Ghost. The reason I am here as a Man of God, is to explain to you the Power of the Holy Ghost. In my time doing this work, I have witnessed the Holy Ghost at work and by its full power, the blind have been healed and many more illnesses and diseases healed and cured. Yes, God had done all this. As an Exorcist and Faith Healer, I am honoured and humble to the Lord Jesus and thank him for everything. If you believe in the work of Jesus Christ, then you will be saved and healed. After all Jesus is our Saviour, our salvation and our hope and strength: a very present help in trouble. I would like to thank you all for taking interest in this article and I hope that I can do some marvellous works with the good and gracious Lord God and Jesus. God Bless you all and I thank you for your support.